David and Kate Cottingham are the husband and wife team who founded the Company in 1977. Their three sons at various points in time have all worked in the business. Over the years Justin, Jeremy and James have been involved in the day to day running of DK Engineering. Justin has been part of the business since 1998 and has previously run both Parts and Service departments, as well as previously running the important and complementary Storage business which houses a significant number of vehicles in our custom built facilities. Jeremy started at DK in 1996 and developed the Sales department. He was joined by James in 2002 (part-time whilst he studied Mechanical Engineering at Bristol University) and full-time from 2007 onwards. As the lead acquisition consultants, they developed the Sales department into a well-known and influential, worldwide operation. In 2016 Jeremy decided to leave the family business and start his own separate and new business solely specialising in sales. During James' time in the business, he has helped develop the worldwide image and reputation by managing the restoration of our award winning facilities and later helping Jeremy grow the sales department. Today James works alongside David and Kate helping to ensure the smooth running of the business whilst also maintaining his position as lead Acquisition Consultant in the sales department. 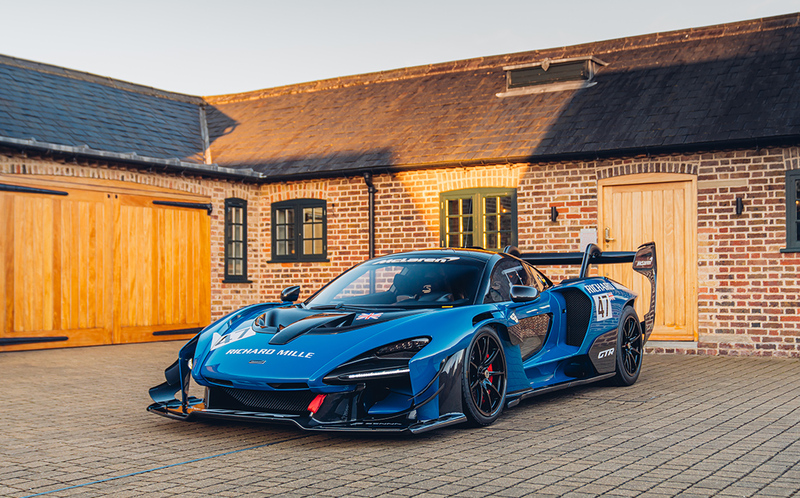 In recent years James has been responsible for a healthy number of world record deals including a string of McLaren F1s and Ferrari 250 GT SWBs. The Servicing business is managed by Shane and he is DK's Service Advisor. With previous Ferrari main dealer experience, he works alongside our senior Master Technician Adrian to ensure the smooth running of the workshop. Rob and Ash are jointly responsible for the acquisition, storage, charging and sale of our extensive stock of parts. Harvey joined DK in 2011 as a showroom executive, later becoming the sales office coordinator and today holding his position as an Acquisition Consultant. Having helped build a number of collections from scratch and having sold a great number of exceptional vehicles during his time at DK he is a key member of the office staff. Our technicians are mostly either trained in-house from the apprentice stage upwards or have been factory trained at main dealers before joining DK, usually to find a greater diversity of motor car in the work place. In all DK has around fifteen technicians and two engine builders as well as a full-time logistics driver. Lynda takes care of the complex company accounts assisted by Monique (who also attends to HR matters and front of house cover). DK Engineering is very much a family business and many of DK's former employees have used the experience and knowledge gained at DK to help them found their own companies of which most are now successful having used the fundamental principles learned at DK. At present we have a work force of over 40 employees.